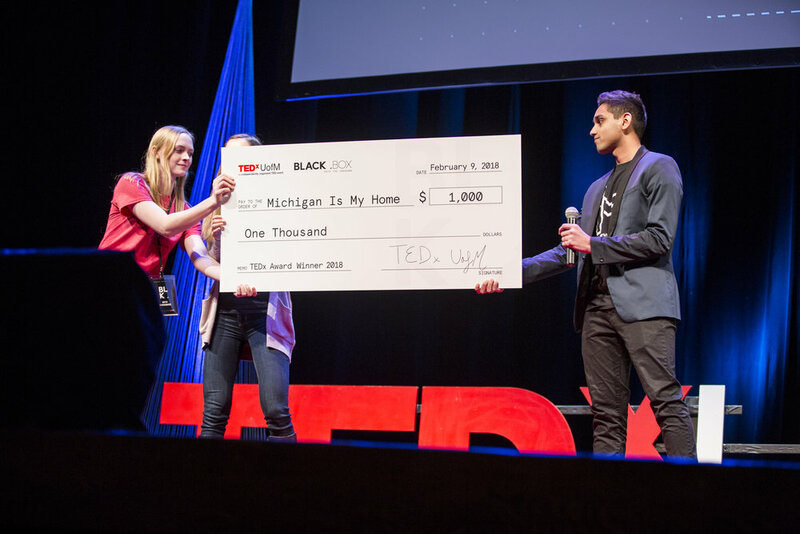 At the TEDxUofM conference on Friday, February 9th, Michigan Movement founders Hussain Ali and Payton Watt spoke about Michigan Movement as they were presented with the Award for Innovation ($1,000). Each year, TEDxUofM chooses and student or organization at the University of Michigan that exemplifies putting imaginative and ingenious ideas into impactful action. To see Ali and Watt's speech, watch TEDxUofM's livestream from the event. Michigan Movement begins at approximately 2:11:34. The remaining members of Michigan Movement's executive board are very proud of Ali and Watt for representing MIM and spreading awareness about those experiencing homelessness in the local community.